Notably during the months of March and April, meeting days have been dedicated for Fiscal Year 2015 budget deliberations. The “budget session” is one of the many highlights of the Council’s year. Instant updates on legislative action from the Council Chamber may be expected via official social media accounts, established in 2013. 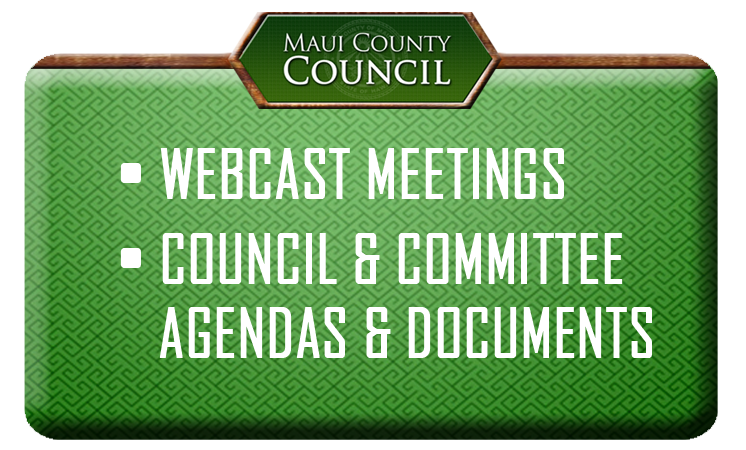 Council meetings are generally held twice a month. There are 14 holidays noted on the 2014 calendar, three of which are in the month of November, including Nov. 4 as General Election Day. The calendar also notes important conferences attended by Council members and County officials. 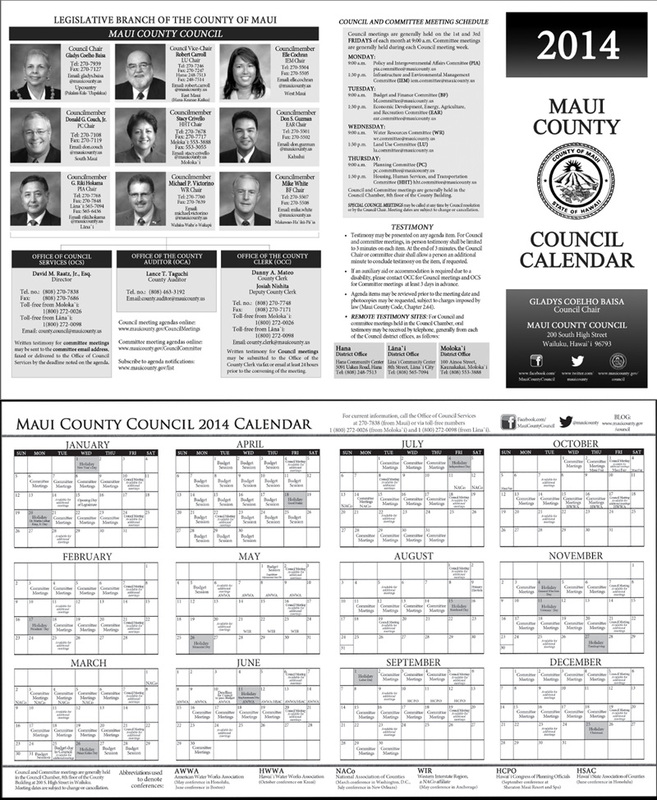 Hard copies of the calendar will be available at the Office of Council Services, 7th floor of Kalana O Maui building in Wailuku.